Sometimes, he claimed, he would arrive before the authorities. He gained the nickname “Weegee” from the Ouija board, events would happen. 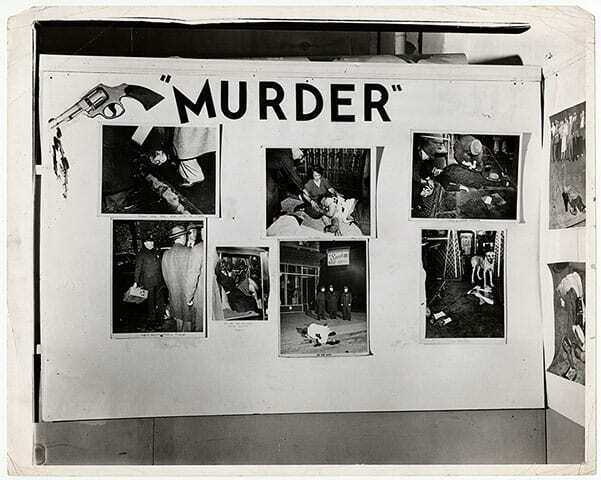 By his own estimation, Arthur Fellig (a/k/a Weegee, 1899-1968) covered more than 5,000 murders as a freelance photographer in New York from 1935 to 1945. His peak creative years as a photojournalist coincided with the pinnacle of the “creative years” of Murder, Inc.
For ten years straight, the New York-based tabloid news photographer slept days and took pictures at night of violent crime and murders, fires, car accidents; he captured the denizens of Skid Row and the Bowery, as well as regular New Yorkers living (and all too often dying) in his hometown. Weegee’s work is connected by an umbilical cord to darkness; his images emerged from Gotham City’s nocturnal penumbra, spectrally streaked by streetlights, lit brightly only where there was a human focus, a tabloid John Alton at work. Weegee called it his “Rembrandt light” as he caught the human protagonists in the white glare of his photo flash, the scene otherwise enveloped in darkness. 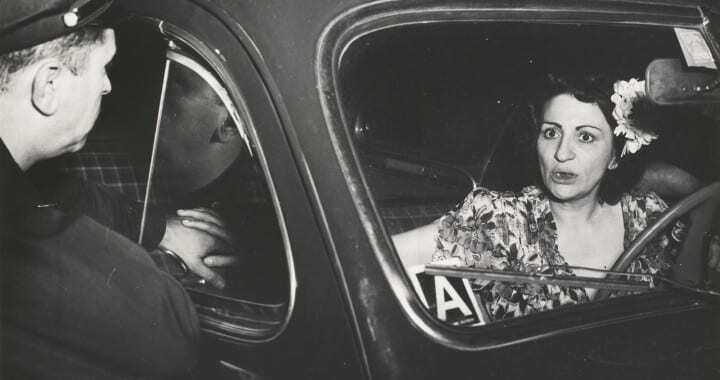 Weegee’s news pictures were never haphazard snapshots, albeit they were taken by a man who had happenstance and chance as his helpmates; he and his camera, with its flash, seem to have a fateful meeting with his human subjects; pictures seem perfectly arranged, and what we focus on is their human content. 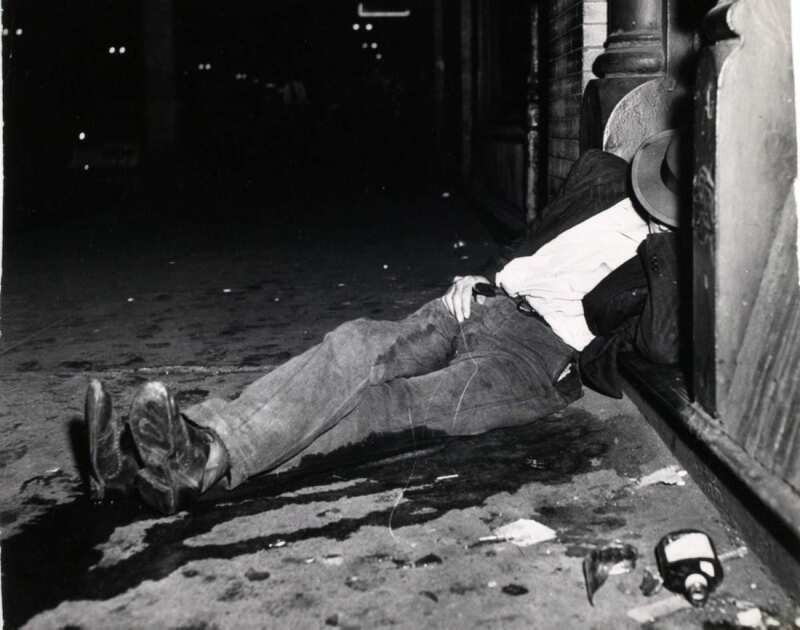 Weegee is the quintessential noir photographer. 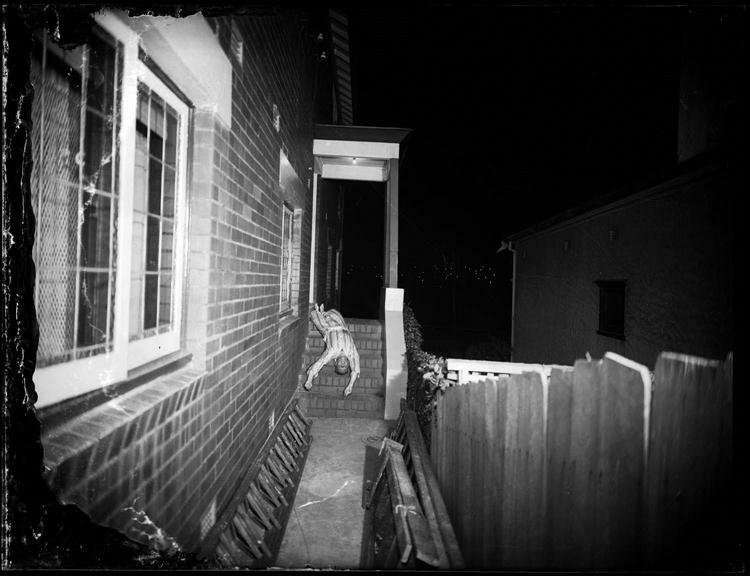 Night was the terrain Weegee’s subjects inhabited; his photos were torn from the dark streets — photographs that have become virtually synonymous with noir. One has to recall New York at that time, with mobsters running the rackets, and labor unions controlling the docks. Charles “Lucky” Luciano had been put behind bars, taken down in 1936 by New York special prosecutor Thomas Dewey. Thereafter, organized crime was run by people like Meyer Lansky, Louis “Lepke” Buchalter and his associates, and Bugsy Siegel. Lanksy and Siegel were in charge of the troupe of hired killers, nicknamed “Murder Incorporated” by the press, but the troupe was actually run by Lepke. His top henchman were Mendy Weiss, Harry “Pittsburgh Phil” Strauss, Louis Capone, Lulu Rosencrantz, Charles Workman, Allie Tannenbaum, Seymour Magoon, Sholem Bernstein, Irving “Knadles” Nitzberg, Vito Gurino, “Little Farvel” Cohen, Harry Maione, Frank Abbandando — a virtual “who’s who” of New York’s organized crime figures. The ring of killers got a weekly retainer; in addition, they were rewarded with $1,000 to $5,000 per mob-ordered rub-out. Lepke received murder contracts from gang bosses across the United States. This enterprise, headquartered in a nondescript candy store in Brooklyn, called Midnight Rose’s, also had as co-bosses on its “executive board,” such figures as Albert Anastasia, Jacob “Gurrah” Shapiro, Abe “Kid Twist” Reles, Tommy “Three-Fingered Brown” Lucchese, and Joe Adonis. The killers employed ice picks, strangulation, and shooting. Many were sent to the electric chair as the gang was eventually broken up, but not before Murder Inc. had eliminated a great many witnesses who could have testified against the syndicate. Usher (Ascher) Fellig was born in Zloczew in 1899, near the city of Lemberg (Lvov) in Galicia (what is now Ukraine), then the eastern reaches of the Austro-Hungarian empire. His father left for America in 1906. The rest of the family — there were four children including Usher at that time — followed after him by steamship in the steerage section, in 1910. Usher’s first name was Americanized to Arthur upon arrival at Ellis Island. The elder Fellig had studied to become a rabbi; in America, he made a living selling goods from a pushcart on the Lower East Side, where the family was settled. 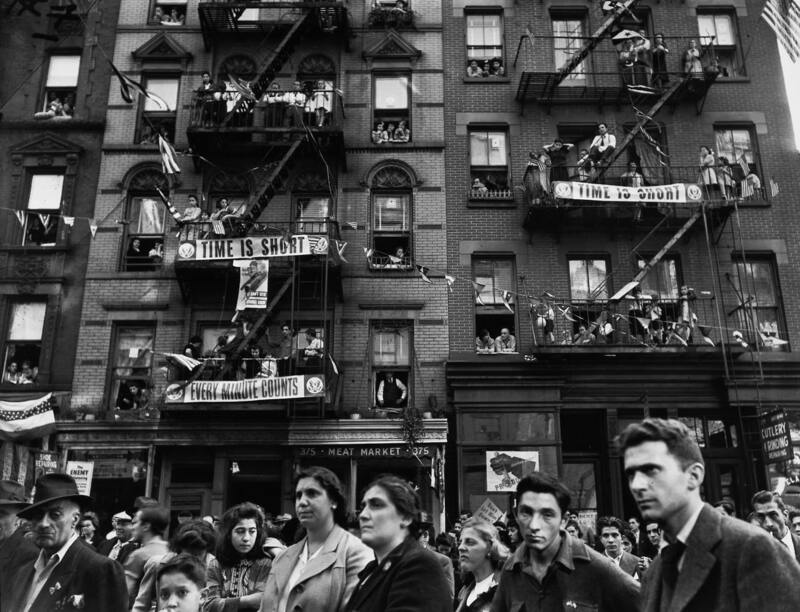 Weegee’s parents worked later as janitors, in exchange for rent, in various tenement buildings. Weegee’s father was thoroughly Old World, keeping the Sabbath and Orthodox Jewish prescripts despite it impeding his earning money. The elder Fellig would finish his studies in America and be ordained as a rabbi. He gained the nickname “Weegee” from the Ouija board, events would happen. A couple of his photos seemed to prove it — like when he photographed a wino lying on the sidewalk, who then gets up, crosses the street, gets run over by a car and is given last rites by a priest; then there was the streetcorner in Chinatown that Weegee photographed moments before a gas main blew and the street caved in. These old-fashioned European ways were not for Arthur. In 1913, he left school to make money for the family. There were more siblings born in America after him. Arthur attempted to earn his way as a tintype photographer; he was a helper to a commercial photographer after a few months, laboring in this capacity several years before he decided to strike out on his own, buying a pony and photographing Lower East Side children sitting on it. Weegee knew that proud parents, no matter how poor, would buy a picture of their kids. He soon had to give up that job, however — the pony’s big appetite ate into the profits. At the age of 18, Arthur moved away from home. At first, he had no roof over his head and slept in flophouses and on park benches the like the people he would later photograph. He did a variety of jobs, all the while hoping to work in a photographer’s studio. He caught on a general helper at a studio in Lower Manhattan, doing darkroom and studio jobs. In 1921 he was hired at the New York Times, again doing darkroom work; he worked with the photo syndicate World Wide Photos, also as a helper, staying a couple years before leaving for Acme Newspictures, later taken over by United Press International. Arthur Fellig was a technician in the darkroom and a printer at Acme. He also took some turns as a substitute news photographer. Eventually, he was doing this more often. By 1934, he had rented a one-room apartment at 5 Center Market Place, behind the Manhattan Police Headquarters — where he would stay until 1947, the end of his career. Installing a radio in his apartment, from which he could pick up police emergency signals and fire alarms, he began his legendary career. In 1935, he left Acme to be a freelancer. It was not an easy task, as there was no economic safety net. To sell a picture, you had to be the first photographer on the scene. 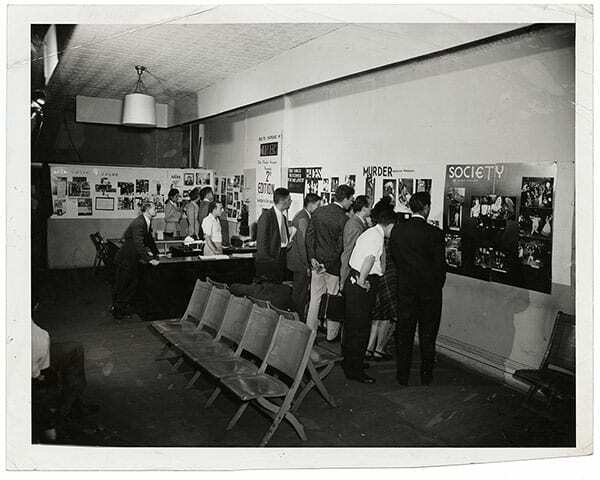 Operating around the Manhattan Police headquarters, Weegee was soon selling pictures to the Daily News, Herald-Tribune, Post, Journal-American, Sun, World- Telegram. This was the start of Weegee’s signature photos, when he began sleeping days and working nights, following police and fire signals. Sometimes, he claimed, he would arrive before the authorities. He gained the nickname “Weegee” from the Ouija board, events would happen. A couple of his photos seemed to prove it — like when he photographed a wino lying on the sidewalk, who then gets up, crosses the street, gets run over by a car and is given last rites by a priest; then there was the streetcorner in Chinatown that Weegee photographed moments before a gas main blew and the street caved in. Soon, Arthur Fellig was stamping his photos on the back with: “Weegee the Famous.” In 1938, he got authorization from the New York authorities to put a police radio in his car. 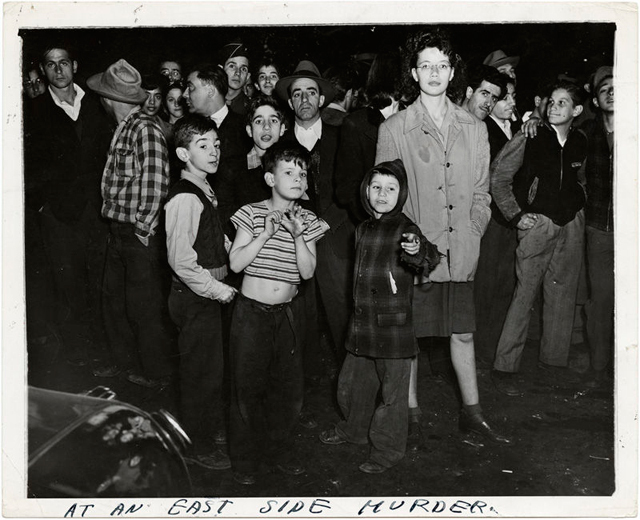 Weegee’s photos dug deeper — he captured gaping crowds, neighborhood kids and adults gawking at the gory corpse lying on the sidewalk in a pool of blood. In 1945, Weegee published Naked City, a landmark book of photographs, with his own captions and short text accompanying the images. The following year, another book: Weegee’s People. Mark Hellinger bought the rights to Naked City so he could make a film in 1948 with that title, directed by Jules Dassin. It had nothing to do with Weegee’s material per se, though it was shot in police-procedural, documentary style on the streets of New York. Weegee went to Hollywood in 1947 to work as a “consultant,” and while there took bit parts in Every Girl Should Be Married (1948), The Set Up (1949), and The Yellow Cab Man (1950). He returned to New York in 1952, fairly disgusted with the West Coast. Weegee’s major creative period was as a freelance tabloid photographer, from 1935 to 1947, working both from his apartment behind the police station and from his car. His images are indelible — featuring gangsters covering their faces with handkerchiefs when being arrested; gunmen, face down on the sidewalk, faces bloodied and battered, the pistol that killed them having been thrown down nearby. 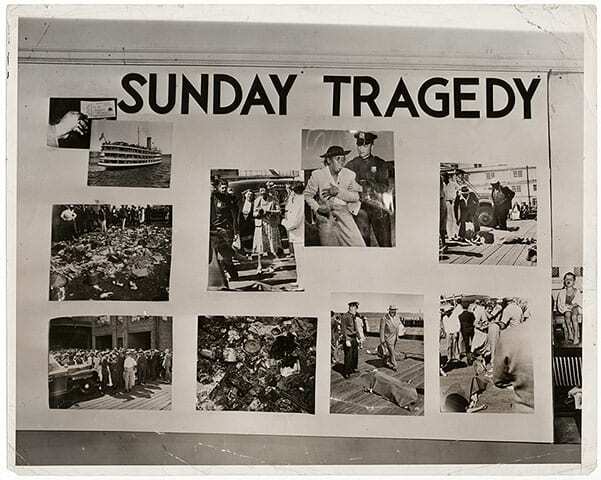 But Weegee’s photos dug deeper — he captured gaping crowds, neighborhood kids and adults gawking at the gory corpse lying on the sidewalk in a pool of blood. He showed policemen rescuing and arresting people; firemen, weary and worn, carrying children and their pets away from a raging fire. 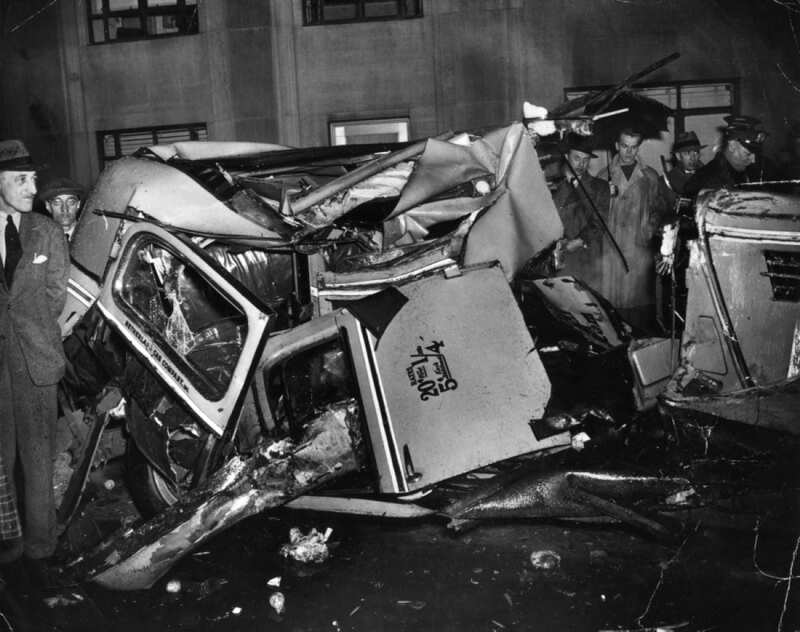 There were wrenching images of car accident victims; of cops and ambulance drivers; of cheap punks, kid killers, gun molls, murderers and murderesses — sitting in the paddy wagon, getting fingerprinted, through the wire mesh of a cell. Hoodlums and cop-killers beaten by thick-necked, burly New York detectives who turn their backs so they can’t be photographed. Weegee’s captions provided a visceral vernacular for the almost-sacred squalor of his imagery (see “Weegee’s Words” for a sampling). Taken together, they packed more than a mere punch; they were a brash but anguished cry in an endless nightscape. More than mere documents of a violent era, they also exuded a humanity that could only come from the photographer himself. There was nothing judgmental or distanced in Weegee’s work; he was the antithesis of the “slickers” who worked for glossy magazines. He remained a man essentially from the same New York working-class as the people he chose to photograph. The collision between Weegee’s photos and film as noirs is more than a coincidence of technique. It was a juxtaposition that was ultimately disillusioning to him; as his fame grew, he began to feel that his aesthetic largesse had been compromised and co-opted. 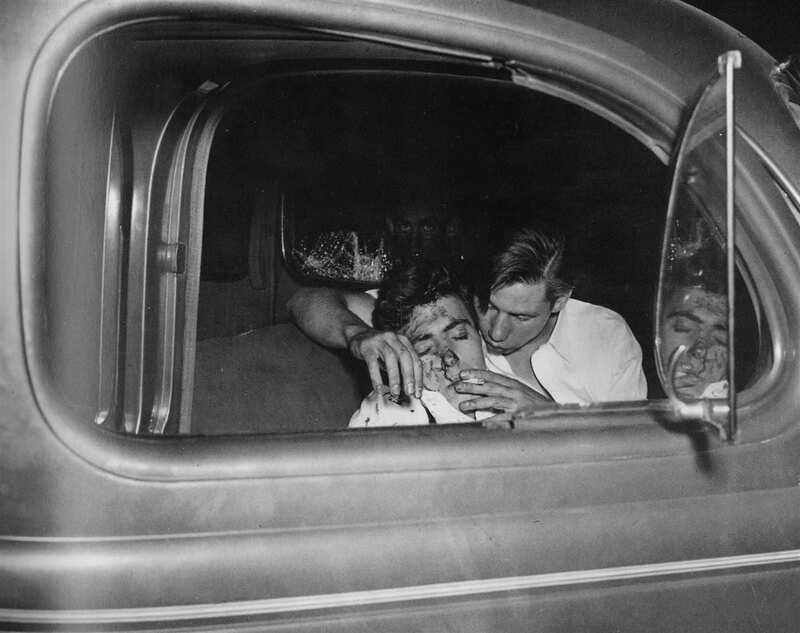 The collision between Weegee’s photos and film as noirs is more than a coincidence of technique. It was a juxtaposition that was ultimately disillusioning to him; as his fame grew, he began to feel that his aesthetic largesse had been compromised and co-opted. Displaced from Manhattan’s urban squalor during his years in Hollywood, he found himself drawn to non-realistic theories of pictorial display. He became fascinated with distorted reality, and constructed a sequence for MGM’s The Yellow Cab Man where automobile traffic is wildly distorted. He extended these ideas into portraits; his transmogrified sequence of Marilyn Monroe head shots, assembled by multiple exposures, melted negatives, lens trickery, both anticipates and transcends the Pop movement that took the art/design world by storm in the 1960s. — People are so wonderful that a photographer has only to wait for that breathless moment to capture what he wants on film… and when that split second of time is gone, it’s dead and can never be brought back. — For the pictures… I was on the scene; sometimes drawn there by some power I can’t explain, and I caught the New Yorkers with their masks off… not afraid to Laugh, Cry, or Make Love. What I felt I photographed, laughing and crying with them. — The people in these photographs are real. Some from the East Side and Harlem tenements, others are from Park Avenue. In most cases, they weren’t even aware they were being photographed. 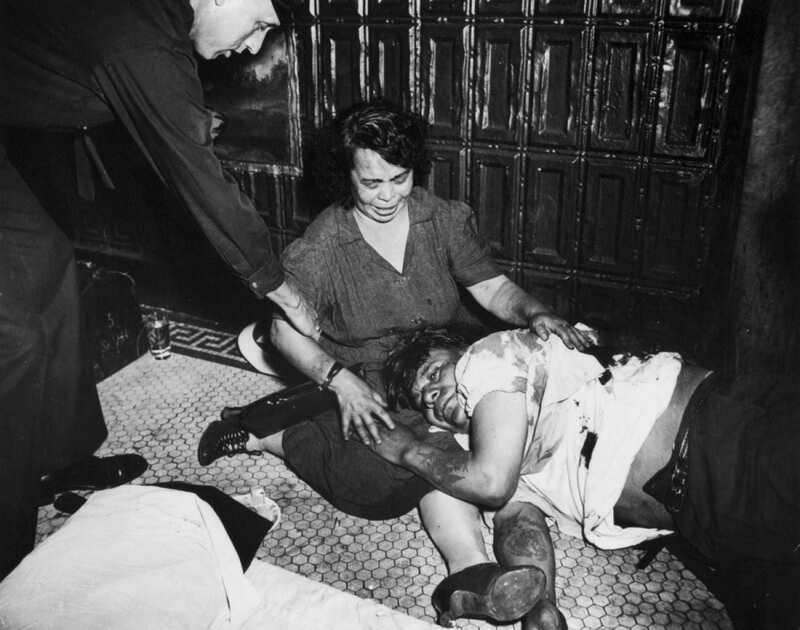 Weegee was still roaming Manhattan’s “mean streets” until just a month before his death in December 1968. 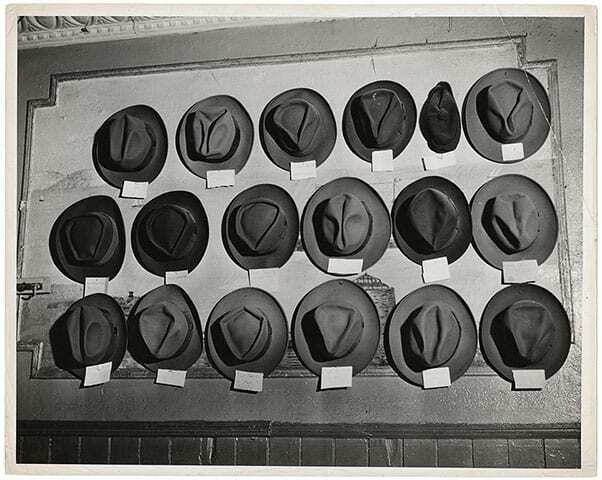 Posted in Essays and tagged Crime, Death, Murder, NYC, Street Photography, The New York School, Weegee.